Mario Kart 8 debuts at 326,000 sales. 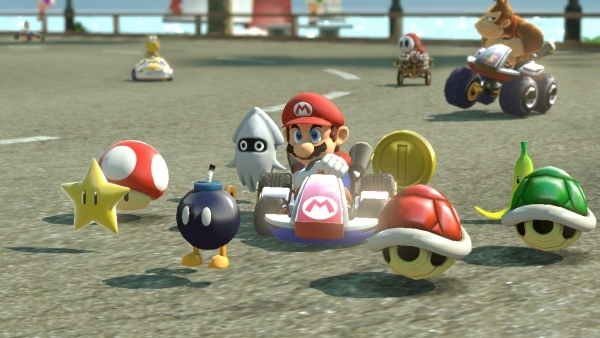 Mario Kart 8 tops this week’s Japanese software sales. The Wii U racing game sequel opened up at 326,000 sales. This boosted Wii U hardware sales. The system was the top-selling console this week at 19,000 sales, a 10,000 unit increase from last week. Also new this week, Mobile Suit Gundam Side Stories for PlayStation 3 opened at 82,000 sales, and Chou Megami Shinkou Noire Gekishin Black Heart for PS Vita at 28,000. Yokai Watch, which has been sticking to the top five of the Media Create for quite a bit now, finally surpassed one million retail sales. Find the full sales charts below.